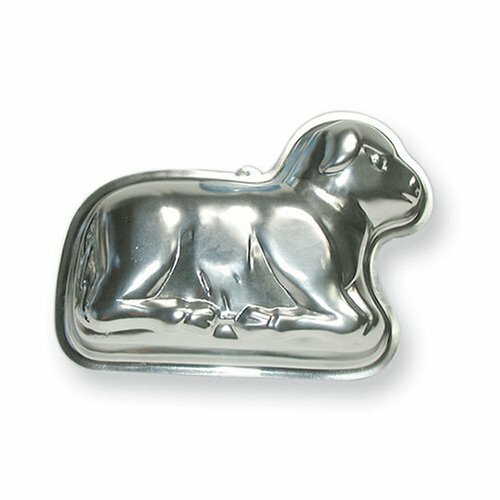 A German Easter Lamb Cake is the centerpiece and dessert on many tables at Easter. 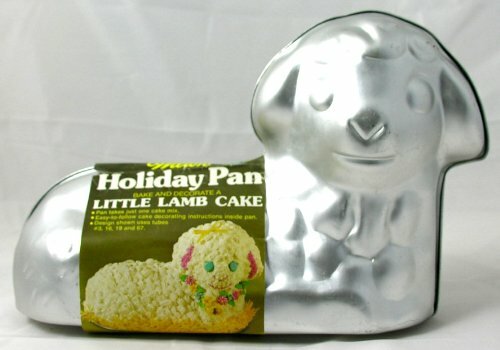 The sweet lamb, representing the Lamb of God, is baked into a lamb shaped mold… then decorated with either a simple sprinkling of powdered sugar, or in some homes, white frosting. In general, the cake is a pound cake, sometimes flavored with ground nuts. 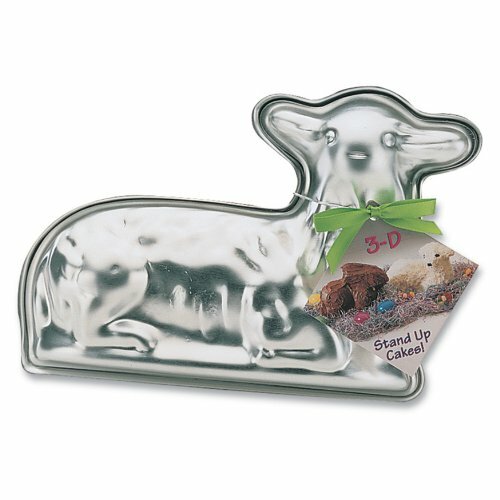 You can bake your own Easter Lamb Cake… all you need is a recipe, a mold, and a few little tips that will insure success. 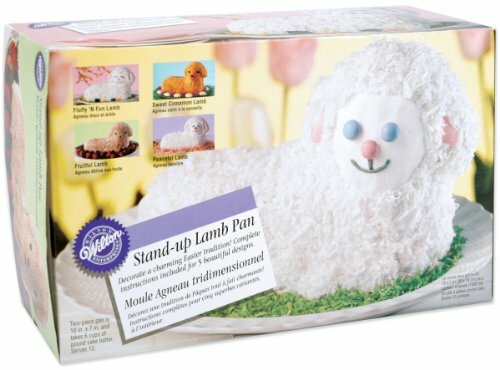 Surround the Easter Lamb Cake with colored eggs for a beautiful centerpiece. 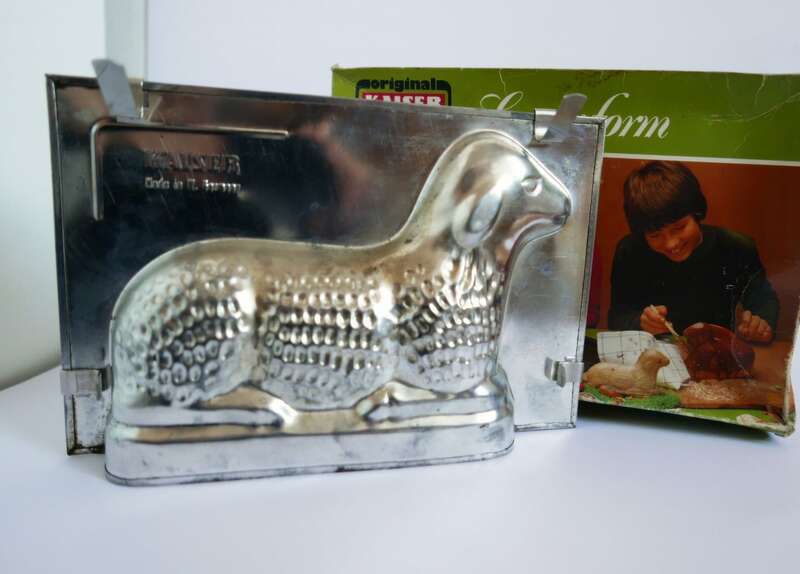 Here are some Dr Oetker Recipes… and molds for German Easter Lamb Cakes can be found below. Beat the butter until light and creamy. Add Sugar, Vanilla Sugar, Salt, and Lemon essence. Beat until it comes together. Add egg and beat on high 30 seconds. Combine Baking Powder with Flour… add to other ingredients, alternating with milk on low, until just mixed. Grease the lamb form VERY WELL… dust with flour. Fill the face side with batter. Place the form on a baking sheet. Let Baked lamb sit in the pan for 10 minutes, then carefully remove. Dust with powdered sugar. 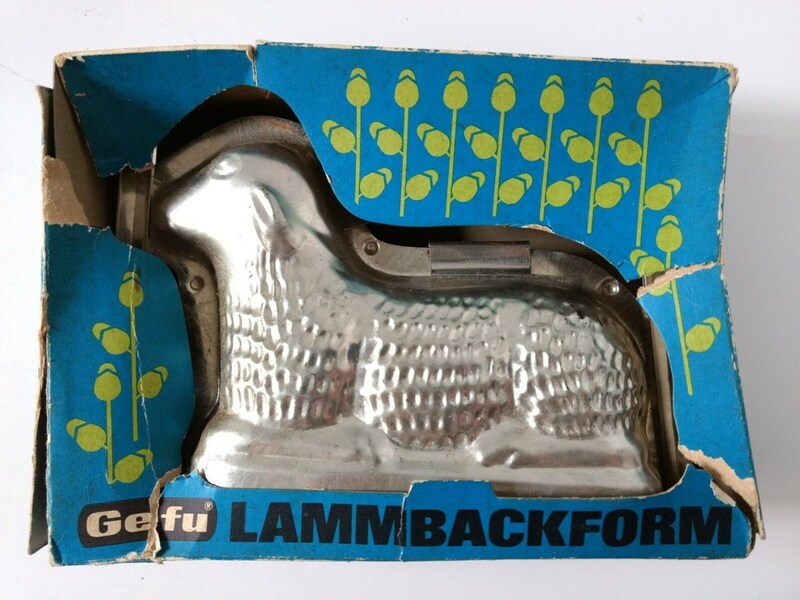 Reinforce the structure of the lamb by laying a few toothpicks or a wooden skewer up its neck before baking. This will help the head stay on. Toothpicks going across the head to the ears will help too. Attach the top of the mold to the bottom with a clamp or band before baking. This will insure that the batter rises up to fill the top pan, and doesn’t just knock it aside. Don’t take the cake out Early! 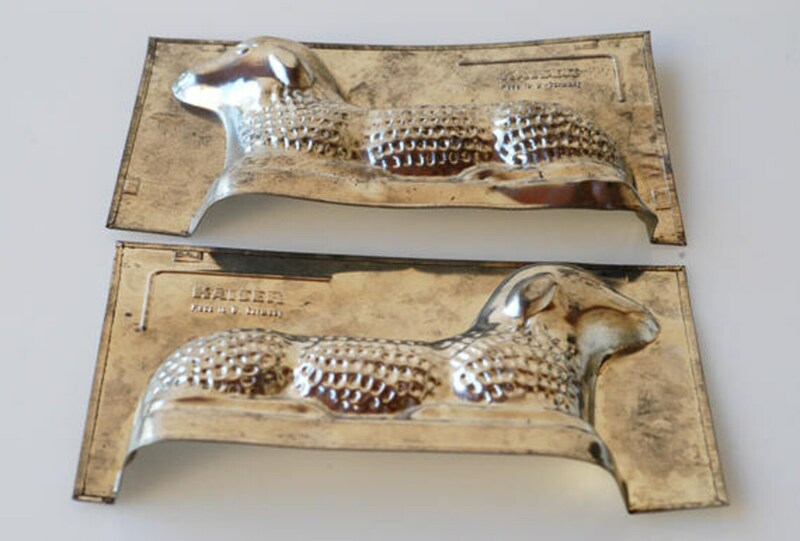 There are a few different sizes and qualities of Easter Lamb Cake Molds. Some are heavier, and will last for generations, others are simple (less expensive), and good for using for a few years. previous Where did Easter Bunny Originate? In Germany, of Course! Read More HERE! 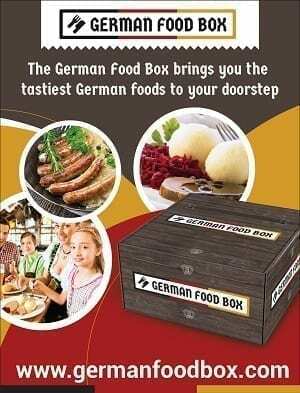 next Where to Buy German Easter Chocolate to make Your Holiday Delicious! 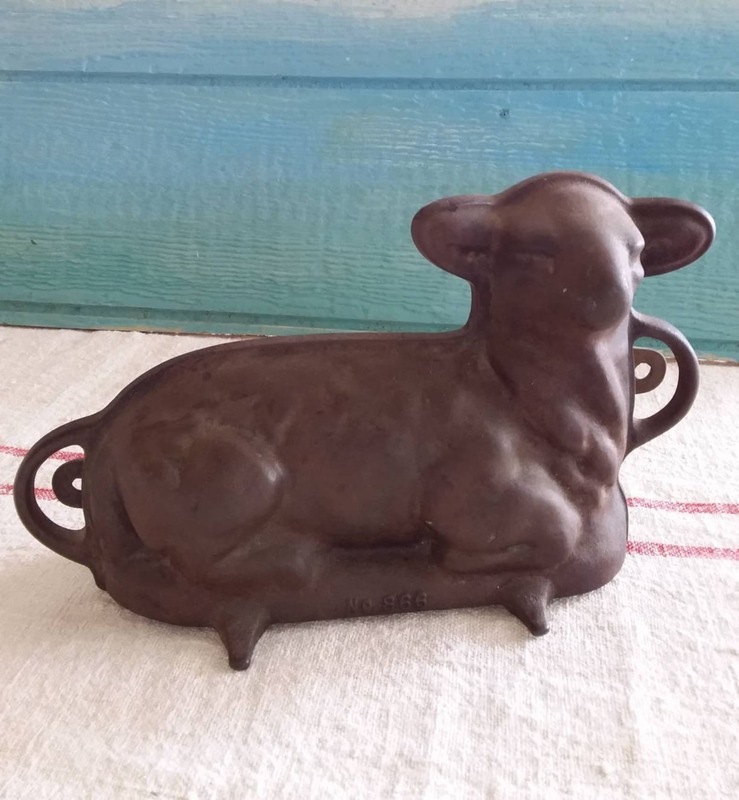 I have an antique cast iron lamb pan. It looks pretty old. Is there away to use the pan again to bake a cake in? 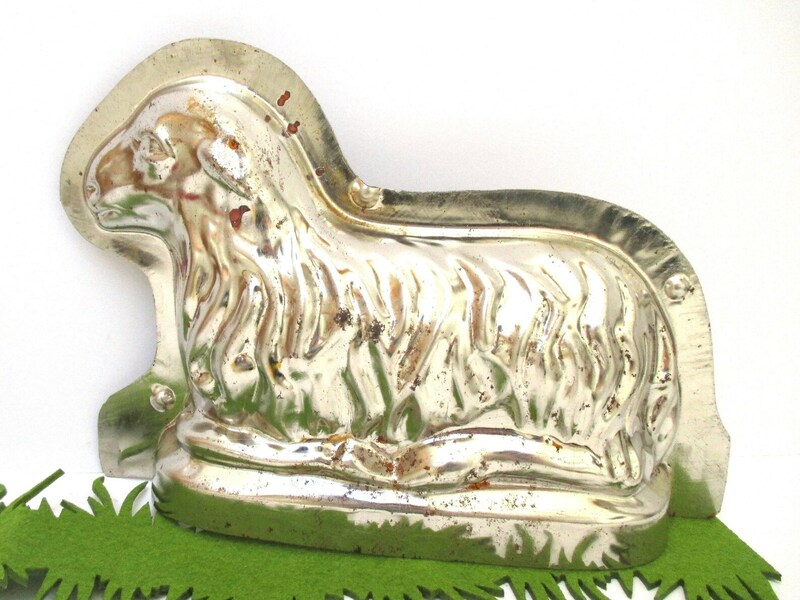 I have an antique cast iron pan of the lamb. 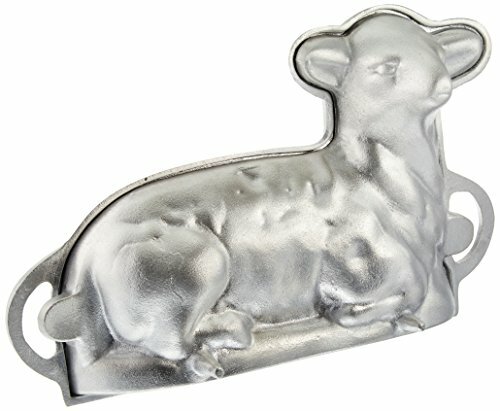 What do I need to do to safely bake in it? If it’s clean, you should be able to just use it. Vanilla Sugar is white sugar infused with vanilla flavor. It’s what you bake with in Germany, instead of vanilla extract. You can substitute vanilla extract, or make your own Vanilla Sugar.